July | 2014 | What is ML Reading? ML and I perused her yearbook together recently. Under each picture of the fifth graders, were their names and what they wanted to be when they grew up. Many made me laugh, especially the one who wants to be a worker’s compensation lawyer. To know so young the specific area of law you want to practice. . . he must know a worker’s comp lawyer. I’ve met people halfway through law school who are still unsure. Some even after graduation. Several students’ answers warmed my heart and reminded me of great books to recommend to these rising middle schoolers. Bronte wants to be an author and illustrator. ML worships her. We’ve seen her artwork. I read her poetry for the Poetry Celebration. Look out Children’s Publishing World. I’ve seen the future and it’s talented. The synopsis for the recommendations for Bronte are straight from the publishers’ websites. Each book involves art. One a mysterious painting. The other a young man whose passion is drawing. 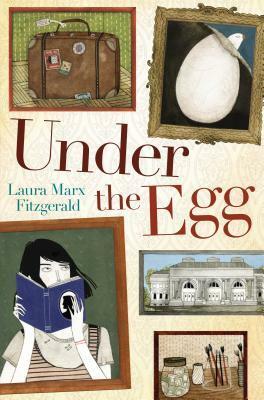 Under The Egg by Laura Marx Fitzgerald – When Theodora Tenpenny spills a bottle of rubbing alcohol on her late grandfather’s painting, she discovers what seems to be an old Renaissance masterpiece underneath. That’s great news for Theo, who’s struggling to hang onto her family’s two-hundred-year-old townhouse and support her unstable mother on her grandfather’s legacy of $463. There’s just one problem: Theo’s grandfather was a security guard at the Metropolitan Museum of Art, and she worries the painting may be stolen. 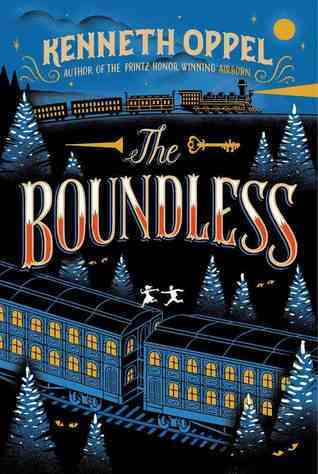 The Boundless by Kenneth Oppel – The Boundless, the greatest train ever built, is on its maiden voyage across the country, and first-class passenger Will Everett is about to embark on the adventure of his life! I’m working on some books for ML’s other favorite almost middle schooler. She wants to own a restaurant. A new book arrived at the library last week which looks promising for a future professional chef. My dear friends Debbie and Dale moved to Oriental, NC with their cats Bella and Coby to be near their sailboat. 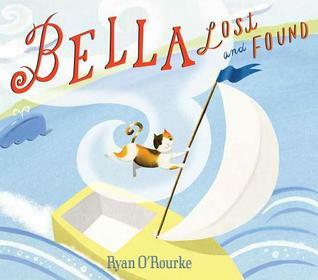 When Bella Lost and Found by Ryan O’Rourke arrived at the library, I couldn’t stop thinking about their invitation to visit. It’s time we venture to the Pamlico Sound, where ML experienced her first sailing trip when she was a mere eight months old. What’s this book about? The dust jacket’s describes the plot perfectly. “Bella is an indoor cat who lives inside a lighthouse. She has always imagined having great adventures on the high seas. But she has never gone outside until . . . One day she finds an open door and ventures down to the sea. Bella hops onto a sailboat and drifts away just like in her dreams.” As for the illustrations, the front cover provides a small taste of the delightful pictures inside the book. Rumor has it Debbie is volunteering at a local school. A perfect fit for her as she performed storytimes for at least fifteen years. Bella Lost and Found is an excellent book for her to read aloud. Then, she can tell the group about her Bella. I don’t think we’ll visit empty-handed. Guess what we’ll bring? ML read three Edward Gibbs’ I Spy books the other night while I cooked dinner. She yelled to me in the kitchen, “Mommy, what’s that fish with the long nose?” Then, quickly said, “Nevermind… Swordfish.” She guessed all the answers for each page of these books using the written and visual clues. 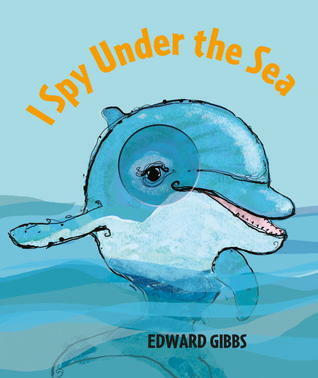 This week at the library we received I Spy With My Little Eye by Edward Gibbs in board book format. Instead of paper pages, board books have thick cardboard pages perfect for toddlers developing fine motor skills. I’m thrilled the publishers released it in board book. I hope the other titles in this series are published in board book soon. I’m adding this title to my post Books for a One Year Old Birthday Present. The article Children’s Nonfiction Rising from the Huffington Post reminded me of two things. My pledge to read fifty-two nonfiction titles for children this year and my slacking off on posting about nonfiction. Our library catalog allows you to search the newest additions to the library. One subject heading is Children’s Nonfiction. Today I judged the books by the covers and checked out eight nonfiction books. I tried to get a variety of topics. Below are the ones I’m eager to share with ML. 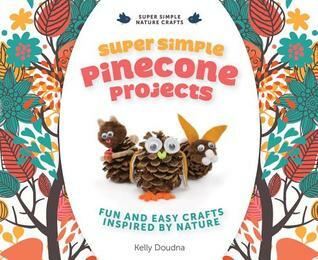 Super Simple Pinecone Projects by Kelly Doudna – The beginning pages start with nonfiction information about pinecones in nature, which I think is a great idea. When looking at the crafts, the first three were super simple and used at many preschools. At this point, I was unsure the book would hold ML’s interest. Then, I reached page twenty… bobblehead pinecones. A creative, clever idea. From there, the ideas were perfect for ML’s age. Pinecone art will be a part of our fall. 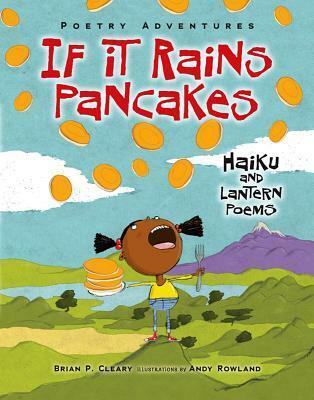 If It Rains Pancakes: Haiku and Lantern Poems by Brian P. Cleary with illustrations by Andy Rowland – I’m familiar with the haiku form of poetry. This spring I did several posts about them. This new book tweaked my interest because I wasn’t familiar with the term lantern poems. I’m co-chairing the Poetry Celebration at ML’s school again this year. Can’t wait to share lantern poems with the students. Here’s one from the book. 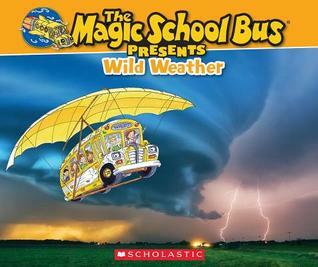 The Magic School Bus Presents Wild Weather by Joanna Cole and illustrated by Bruce Degen – ML’s been a Magic School Bus fan since she was three. This nonfiction companion to the original Magic School Bus series includes the fun characters from the books and beautiful color illustrations. The library owns five titles from this new series. I’m checking out all five for ML. 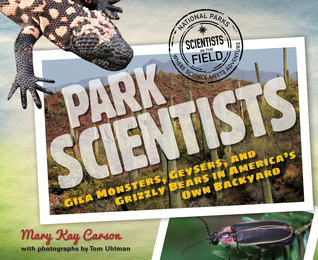 Park Scientists: Gila Monsters, Geysers, and Grizzly Bears in America’s Own Backyard by Mary Kay Carson and photographs by Tom Uhlman – The text of this book will be difficult for ML to read. But it provides a great opportunity for me to share about my trips to various National Parks. Three parks are featured – Yellowstone, Saguaro and Great Smoky Mountains. 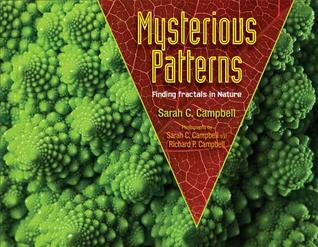 Mysterious Patterns: Finding Fractals in Nature by Sarah C. Campbell with photographs by Sarah C. Campbell and Richard P. Campbell – One thing I love about children’s nonfiction is I am always learning something new. If I learned about fractals in school, I’ve forgotten about these cool patterns. Broccoli florets, trees, river systems and so many other fractals in our world. 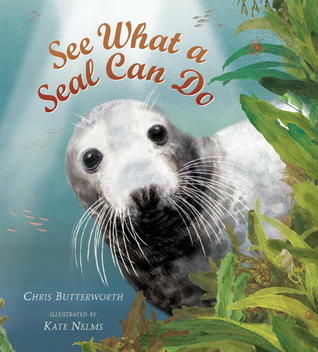 See What a Seal Can Do by Chris Butterworth and illustrated by Kate Nelms – Seals flump. If you don’t know what that means, this book is perfect for you. Who knew seals breathe out when taking a dive? These days most nonfiction we receive include glossy colored illustrations. This book with mixed media illustrations looks and reads like a picture book. 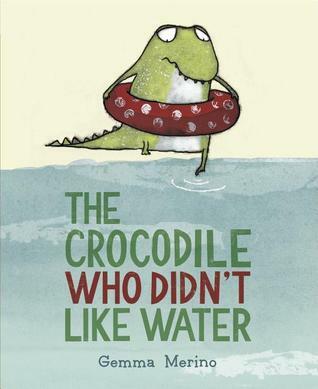 Many nonfiction books aren’t great read alouds to a group. This one works perfectly. 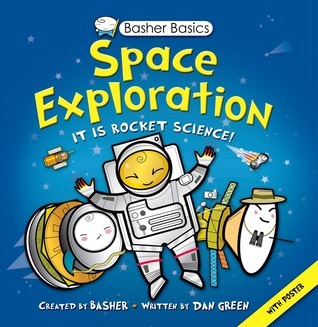 Space Exploration: It Is Rocket Science created Basher and written by Dan Green – If this book was in alphabetical order, I would call it an in depth dictionary on rocket science. From space shuttles to Venus Express to Cassini-Huygens to space tourists and more, you can learn about the equipment and people exploring outer space. I’m not a space expert so it was interesting to have all these things described in an easy to understand format. 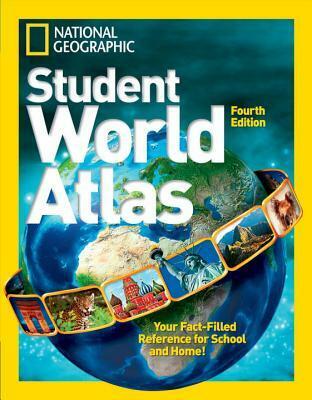 National Geographic Student World Atlas – As a child, I loved to explore the globe we owned. Spinning it and stopping it with my finger to see which country it landed on. When this new atlas appeared at the library, I was intrigued. Back in the day, I could name most of the countries in the world. There were some countries I was unfamiliar with in this atlas… Eritrea and Tajikistan to name two. No doubt if ML memorizes all the countries names, there will be different countries when she is an adult. My favorite part of the book is the Flags & Stats pages at the end. A dear friend of my mom’s, who has been wonderful to me since my mom passed away, sent this request a few weeks ago. “Do you have a recommendation for a great book to give a one year old for their birthday? 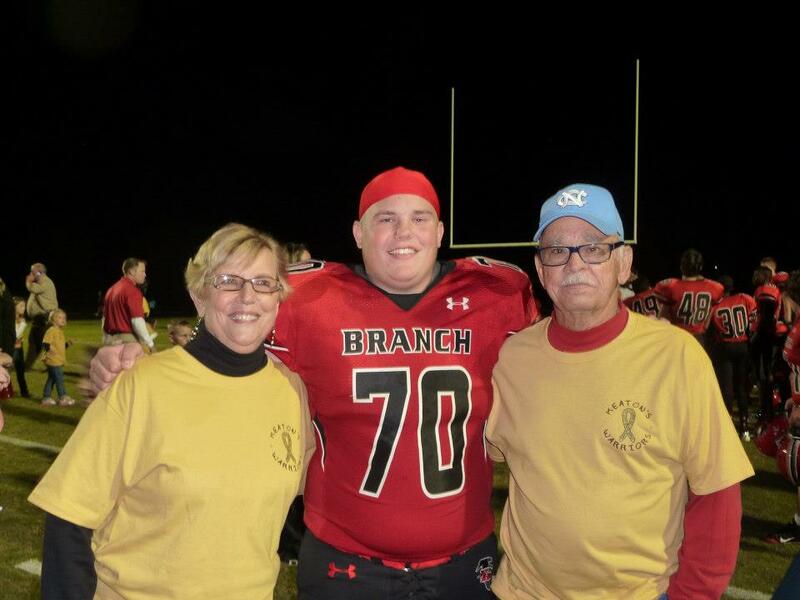 Been so long with my grands now I can’t think of the perfect one.” She only asked for one idea but I gave her ten. 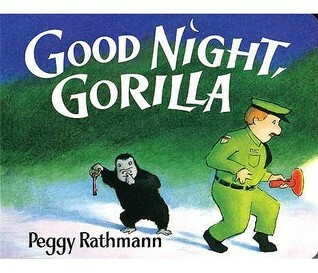 Goodnight Gorilla by Peggy Rathman – An unobservant zookeeper is followed home by all the animals he thinks he has left behind in the zoo. 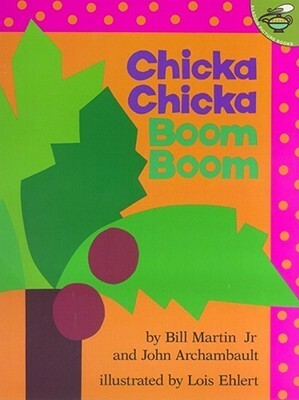 Chicka Chicka Boom Boom by Bill Martin, Jr. and John Archambault and illustrated by Lois Ehlert – An alphabet rhyme/chant that relates what happens when the whole alphabet tries to climb a coconut tree. 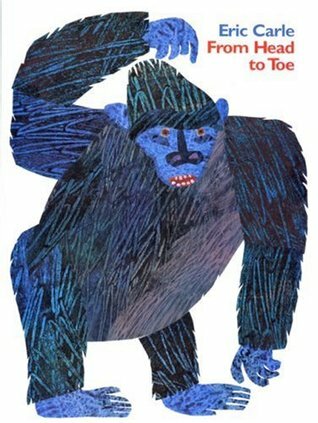 From Head to Toe by Eric Carle – Readers enjoy copying the movements of various animals presented in this story. 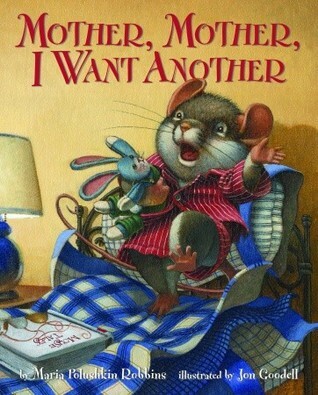 Mother, Mother I Want Another by Maria Polushkin Robbins and illustrated by Jon Goodell – Mrs. Mouse is anxious to get her son to sleep and goes off to find what she thinks he wants. 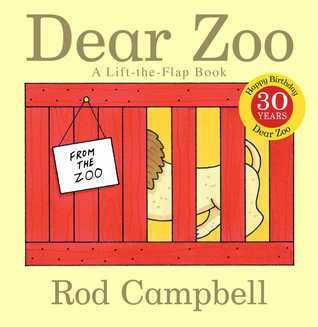 Dear Zoo By Rod Campbell – Answering a child’s request, the zoo keeps sending a wide assortment of animals until they find the perfect pet. 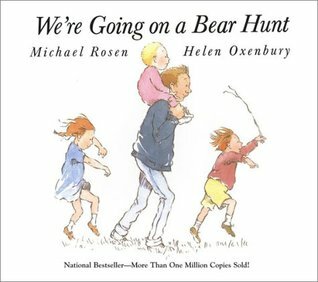 We’re Going On A Bear Hunt retold by Michael Rosen and illustrated by Helen Oxenbury – Brave bear hunters go through grass, a river, mud and other obstacles before the inevitable encounter with the bear forces a headlong retreat. 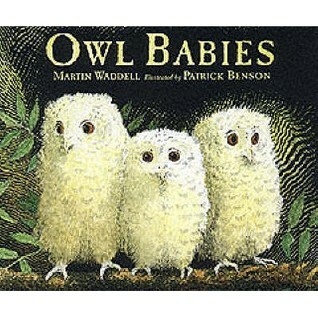 Owl Babies by Martin Waddell and illustrated by Patrick Benson – Three owl babies whose mother has gone out in the night try to stay calm while she is gone. 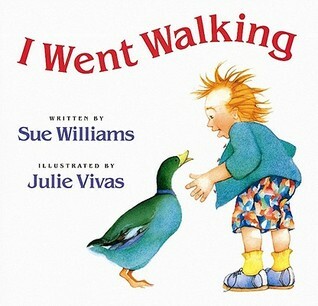 I Went Walking by Sue Williams and illustrated by Julie Vivas – During the course of a walk, a boy identifies animals of different colors. 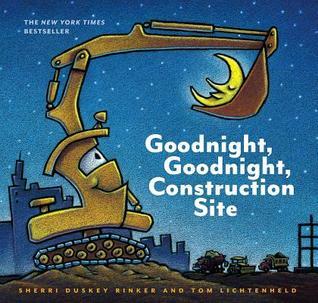 Good Night, Good Night Construction Site by Sherri Duskey Rinker and illustrated by Tom Lichtenheld – At sunset, when their work is done for the day, a crane truck, a cement mixer, and other pieces of construction equipment make their way to their resting place. 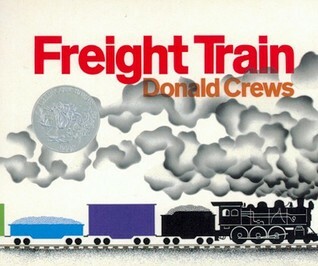 Freight Train by Donald Crews – Brief text and illustrations trace the journey of a colorful train as it goes through tunnels, by cities and over trestles. 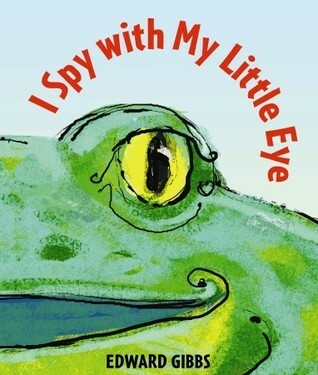 I Spy With My Little Eye by Edward Gibbs – Asks young readers to identify the animal based on their color, including blue for a blue whale, white for a polar bear, and green for a frog, with die-cut spy holes. All synopsis are from the library catalog records. I don’t finish a lot of novels written for middle grades. Instead, I read a few chapters because I need to have knowledge of these books for work. If I finish one, I know it is worth sharing on the blog. 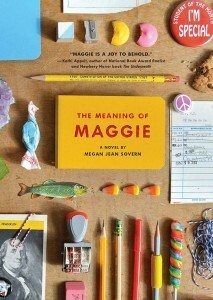 I cried while reading The Meaning of Maggie by Megan Jean Sovern. When the book arrived at the library, the cover intrigued me. Once I read the synopsis of the book and learned the author lives in Atlanta I decided to take the book home. I grew up outside of Atlanta; so in my mind this book was set there. Maggie’s father has to quit his job at the airport due to an illness which starts with an M. Maggie’s clueless about the name of his illness and the reality of it’s progression. Her mom starts working to support the family at a fancy hotel. I grew up outside of Atlanta. In my mind, the hotel was either the Peachtree Plaza or the Hyatt Regency with the blue bubble. I’m thinking it was the Hyatt Regency because the book mentions the atrium. In my childhood, I was fortunate to have a Shirley Temple and lots of pretzels at the rotating bar inside this blue bubble. Maggie’s family was not in a position where this was a reality. When she visited the hotel with her mom, she ate in the employee cafeteria. Enough of my reminiscing. This book is both heart breaking and heart warming. Maggie is a quirky young lady who is starting middle school. She’s excited about turning eleven because it’s one year closer to college. Plus she received her dream birthday present… Coca-cola stock. It wasn’t until I read the Acknowledgements at the end of the book, I learned the book is a fictionalized account of her family’s experience. For more information read The Story Behind The Story on Megan Jean Sovern’s website. ML’s not ready for this book yet. But when she’s older, I plan for us to read it. It’s the end of the fiscal year for the library, which means great books are arriving everyday. And ML’s not here. These are the new picture books I’ll have at home for us to read when she returns. 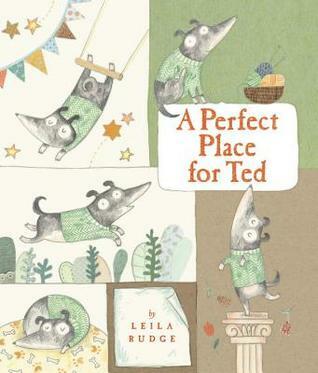 A Perfect Place For Ted by Leila Rudge – “A little dog named Ted sets out to find his perfect place, but no matter where he goes, he doesn’t stand out. Will anyone ever notice Ted?” Sometimes the perfect place isn’t where you expect. ML is certain to giggle at the end of this book. Pardon Me! 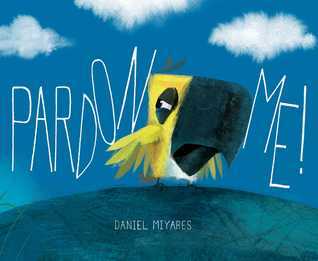 by Daniel Miyares – “A bird tries to keep his spot to himself only to discover that spot is not safe.” I made every coworker read this karmic book. All loved it, and one even snorted. I already know what ML’s reaction will be on the last page… a grin and a snicker. 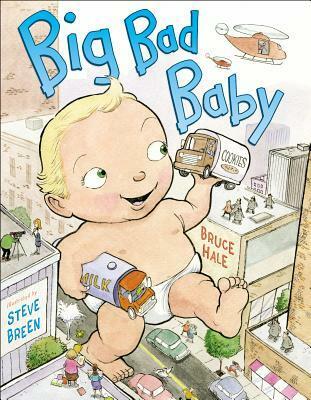 Big Bad Baby by Bruce Hale and illustrated by Steve Breen – “When sweet little Sammy turns into Big Bad Baby, nothing can stop his misbehavior — or that of his evil hench-dog, Boris — except perhaps, his mother, armed with his favorite blue blanky.” I chuckled throughout this Godzillaish story. I bet you a penny ML will howl the whole time. 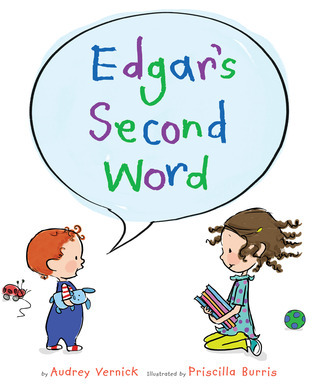 Edgar’s Second Word by Audrey Vernick and illustrated by Priscilla Burris – “After waiting for her baby brother to arrive, and then waiting for him to learn to talk, Hazel is disappointed in his first word.” Finally, at the end he says a second and third word. Hazel likes the second word; and loves the third word. Sleep Tight, Anna Banana! 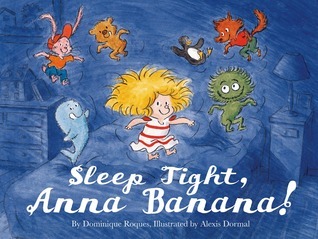 by Dominique Roques, illustrated by Alexis Dormal and translated by Mark Siegel- “Tyrannically subjecting her long-suffering stuffed animals to delays and excuses when she does not want to settle down for the night, a lively Anna Banana finally becomes sleepy only to be given a taste of her own medicine.” This book was originally published in France with the title Ana Ana: Douce nuit. When ML learns French children play with their stuffed animals at bedtime also, she will think she is tres chic. As for me, I’m dying to see the French version to find out what Boing! Boing! Boing! is in French. 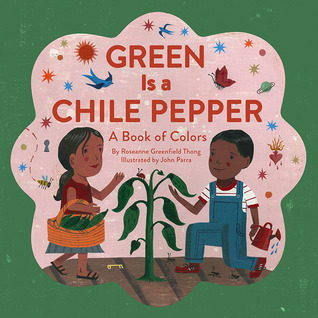 Green Is a Chile Pepper by Roseanne Greenfield Thong and illustrated by John Parra – “In this lively picture book, children discover a world of colors all around them: red is spices and swirling skirts, yellow is masa, tortillas and sweet corn cake.” A smattering of Spanish words are intermixed in the text. I knew almost all the Spanish words for each of the colors except purple. Looking forward to seeing which words ML knows. 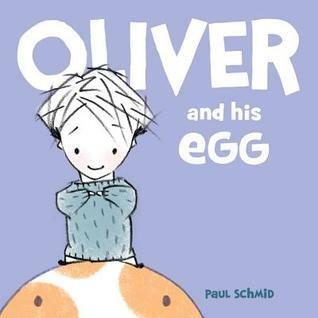 Oliver and His Egg by Paul Schmid – “Oliver spots an egg on the playground. But it’s not just any rock – he’s sure it’s a dinosaur egg.” My imaginitive, rock loving daughter will relate to this one. 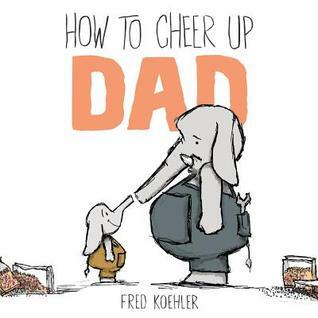 How To Cheer Up Dad by Fred Koehler – After two straight weeks with her dad, I think ML will find this especially funny. “A young elephant sees his dad is in a bad mood and tries to cheer him up, not realizing his own mischief caused the bad mood in the first place.” I’m excited to discover this author/illustrator; and even more excited another Jumbo book is coming in 2015. Look at Jumbo’s face on the cover, who could resist reading books about him. ML’s first night back will be a eight book night. 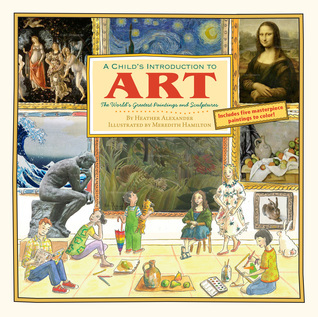 A Child’s Introduction to Art by Heather Alexander and illustrated by Meredith Hamilton is the best resource I’ve seen for parents, teachers and children to nurture an interest in art. The next time ML’s friend SJ is over, I’m getting the art table out. Taping paper on the underside. Finding the watercolors and paintbrushes. Afterwards, they can get to work feeling what it was like to paint the ceiling of The Sistine Chapel. In the meantime, ML and I will try to write our names in hieroglyphics using the key on page eleven. Complete the Search and Find for items in the painting A Sunday on the Grande Jatte by Georges Seurat. Create a variety of shades of blue and name them according to our whims. And so much more. The ideas for creative activities in this book, the information about famous paintings, sculptures and their creators are fantastic. However my favorite part is the “10 Questions to Ask When Looking at Art.” I’m not an art expert. These questions open the door for ML and I to start looking at art in a new way. I don’t think the author will mind me sharing their questions. It’s just a small part of this excellent book you need to check out. Why does it make me feel that way? What do I think the artist was feeling? What do I think the story is, if there is one? What kinds of colors and shapes can I see? Would I hang it on my bedroom wall? I love the last question. ML is always hanging things on her bedroom wall. She will relate to that question most of all. 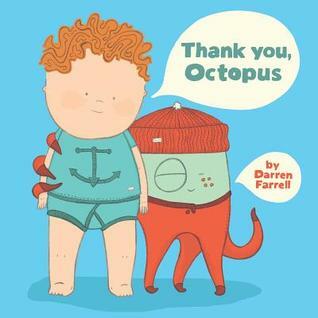 Thank You, Octopus by Darren Farrell started out on the New Picture Books to Read When ML Returns From The Beach post. But I five-starred it on Goodreads. Most books I give five stars get a post of their own. Last week, I learned he’s visiting our local book store. I couldn’t wait to write a post about meeting him. Then, I learned it’s this upcoming Saturday. Guess who has to work? So I’m not able to write a post about how cool Darren Farrell is in the flesh. However, I can promise you his book is awesome. I’m doing a phone purchase and leaving it for him to “art-it-up” for ML. I think Darren Farrell made up the word for his blog post about his upcoming visit to Quail Ridge Books. I’m adding it to my vocabulary. When an illustrator is really good, I’m going to tell people, “(Illustrator’s Name) can really art-it-up.” Trust me, Darren Farrell can really art-it-up. Below is the email I sent my friend a registered dietician who specializes in pediatric/family nutrition. “Calories came up again tonight. ML was having her bedtime snack, Snappea Crisps, when she started reading the nutritional information. She said “These have 120 calories.” I asked what she had learned about calories. Apparently, a teaching assistant had two students compare the calories on their yogurt to determine which was healthier. Or that is the impression ML got. She asked “Too many calories aren’t good, right mom? So and so’s yogurt was healthier than so and so’s. It was only 80 calories.” The more questions I asked, the more ML shut down. My friends advice… If calories come up again explain a calorie is a unit of measurement. We need calories; like a car needs gasoline. ML doesn’t need to worry about calories because I am making sure she has access to healthy foods. Her body knows how much she needs. Then, she recommended the Ellyn Satter website. Especially, the page Feeding Your School-Age Child. Currently, I am reading How to Get Your Kid to Eat…But No Too Much: From Birth to Adolescence by Ellyn Satter. I usually focus on books we love. But today’s post is about books I am not bringing home. If ML sees them at the library and decides to check any of the titles out, I won’t stop her. I’ll read them to her and we’ll discuss them. OK, I lied… I did bring the books home to write the post, but I hid them in my closet. Let’s Be Fit by P.K. Hallinan is a board book. Board books are published with thicker pages so toddlers have an easier time manipulating the books. 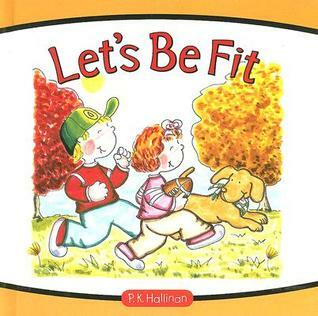 One illustration in this book has a child pumping iron and the text “I’ll tone up my body.” Enough said. But not really… A few more quotes, “I watch what I eat-that’s the place to begin. I need to take heed of the food I take in.” and “I try to do pushups And sit-ups each day” All this in a book mostly read by parents to children 3 and under. 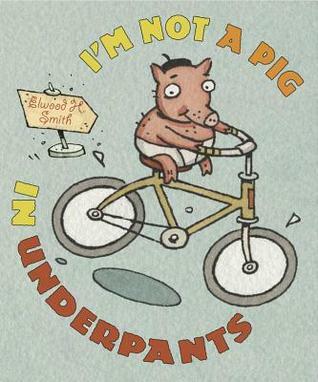 I’m Not a Pig in Underpants by Elwood H. Smith – The text “I’m not a plump platypus watching my weight” and the accompanying illustration of a large platypus running fervently on a treadmill while 11 smaller, skinnier platypus watch concerns me. Such a shame this page made the cut. Otherwise, it’s a very funny book. 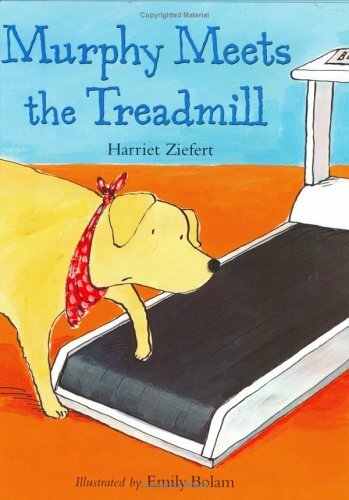 Murphy Meets the Treadmill by Harriet Ziefert – Another treadmill story. This one is much worse because it’s about a dog whose owner thinks he is too fat. She forces him on the scale. Then, forces him on the treadmill. But the worse part is the quote “When Nikka, the neighbor’s hound, came to check things out, I knew she thought I was handsome and physically fit And I said to myself, Exercise is worth it!” (The text I italicized is italicized in the book for emphasis) A blatant example of how our society reinforces how you look determines your worth. 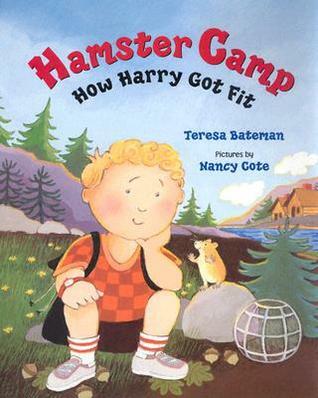 Hamster Camp: How Harry Got Fit by Teresa Bateman and pictures by Nancy Cote – The last page of this book provides “A Note to Parents” I found the information helpful; but the actual book horrific. Hamster Camp is basically fat camp. When the campers arrive with their pet hamsters, the humans turn into hamsters too. Together the pets and owners, do all sorts of hamster activities – run on the wheel and through the maze. Finally at the end of the month, the humans turn back into humans where they “got new belts to match their trim physiques.” Harry returns home and teaches his parents how to be fit. The premise of this book is the complete opposite of what the parental note discusses, which is “young children don’t shop, cook, or even fully control when and where they are physically active.” It’s up to the parent to provide opportunities for active play and nutritional food choices. There are others… The Gulps by Rosemary Wells and illustrated by Marc Brown, My Dog Jack is Fat by Eve Bunting and illustrated by Michael Rex, The Berenstain Bears and Too Much Junk Food by Stan and Jan Berenstain. 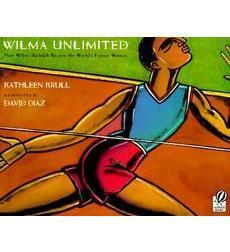 Many of the authors are acclaimed children’s book authors with fabulous, child appropriate books. So I’m not saying stay away from books by these authors. Actually, I’ll be highlighting one of the authors in my post about good books to read to children about food. Some may think I am overreacting. But what irks me is the obsession with introducing children to exercising like adults. Plus the preaching of eating healthy foods to children, when they are not the ones making the food choices for their home. Children’s best way to stay fit is to visit a playground, run, swing, slide, play in the sand and eat a variety of foods. I am working on a post about more appropriate books about nutrition and exercise. So far the list is small. Let me know if you have any suggestions. Today’s post honors the people who work hard to become American Citizens. 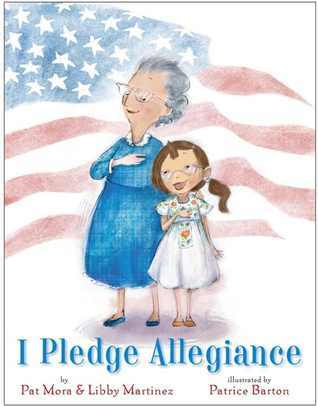 I Pledge Allegiance written by Pat Mora and Libby Martinez and illustrated by Patrice Barton provided the perfect opportunity for me to explain to ML the path to becoming a citizen of the United States. Co-written by mother and daughter, the central characters of this book are the author, Libby, as a young girl and her great aunt Lobo. Both are learning the Pledge of Allegiance for an important day in each of their lives. The illustrations with their subtle red, white and blue color scheme show the love and pride in this family. After reading the book, I explained Miss Edna became an American citizen the same way. Miss Edna is the housekeeper at our library. ML and she love each other dearly. I remember when Edna was taking the citizenship test. She was very nervous. If you think it’s easy to become a citizen, try the citizenship test yourself. It’s one of the last of many long, hard steps to citizenship. Without Ms. Emmons for US History, I’m not sure I would have passed. Here’s a link to see if you can pass. Could You Pass a US Citizenship Test from the Christian Science Monitor. Don’t forget to celebrate living in a nation with many opportunities for independence. And the people who work hard to become citizens so they too may enjoy this right. On July 1st, Walter Dean Myers passed away. With over one hundred books published, many award winners, he was a luminary in children’s and young adult literature. His words offer more than I ever could to show his depth, empathy and challenges. In 1969 there were no books about children of color. Even with his contribution of amazing stories highlighting African-American characters, the number of books published featuring a diverse group is minuscule. Read his March 2014 opinion piece Where Are The People of Color in Childrens Books? from the New York Times. It speaks the truth. Then listen to the Hear and Now interview with he and his son, Christopher Myers. Christopher Myers is an illustrator whose New York Times opinion piece I featured in my post Rainbow Stew and The Lack of Children’s Books Published By and About People of Color. 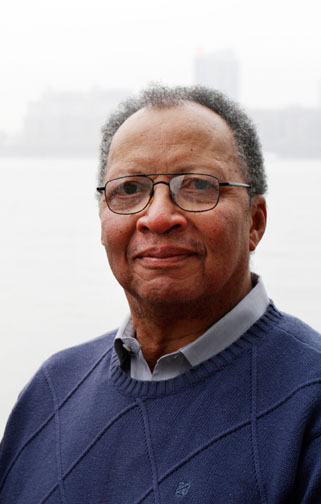 The legacy of Walter Dean Myers lives on in his works and his children. I first read Britta Teckentrup this spring, or so I thought. 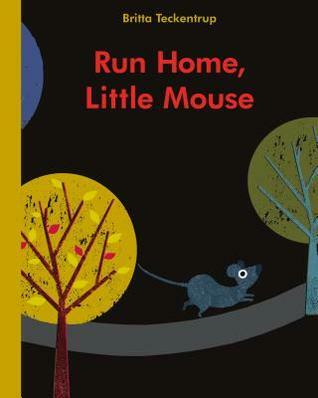 Sharing her book Run Home, Little Mouse at story time. Then, with ML. We loved her artwork. After a quick search of the library catalog, I realized I’ve read her books before in story time. ML even owns Big Smelly Bear. As an author/illustrator living in Berlin, her books are published in Europe first. 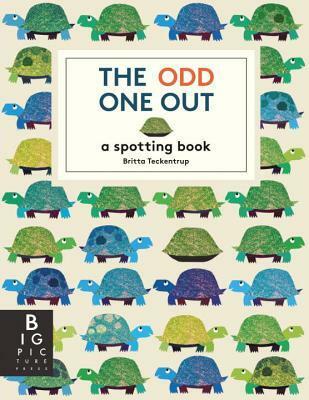 Since February, I’ve eagerly awaited the US publication of The Odd One Out. Finally, it arrived at the library. It does not disappoint. Most seek and find books are flashy. This one is subdued and tricky. Don’t believe me? See how long it takes you to find the camel with just one hump, or the panda without bamboo, or the lemur looking at it’s own nose. It’s actually referred to as “a spotting book”… a perfect description of this fun, interactive book. It will be the first book I share with ML when she returns from the beach. 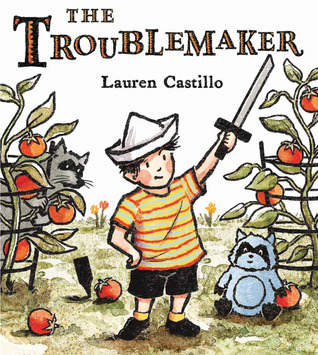 Read The Troublemaker by Lauren Castillo! Then, read it again. There are so many things you will miss in the illustrations the first time around. 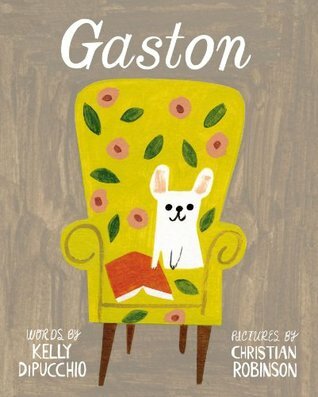 The publisher describes the book as “A sweet and satisfying story of a brother and a sister, a trouble maker or two, and a raccoon beautifully illustrated in a folksy vintage style.” Satisfying is too mild a word for this book. When you read Lauren Castillo’s blog about how she got her ideas for the book, you’ll laugh even more. Don’t miss the video of the raccoon. So glad to discover Lauren Castillo. I visited her Studio 6 shop and coveted many items. Don’t forget to watch the video of the raccoon!!! I’ve been making people laugh all week.